What is the "Health Improvement System"? At this moment you are playing the game of health. You are either winning or losing the game depending on your current actions, thoughts and beliefs. You are winning the game if you can easily say “I’m healthy”, “My body feels good” and “I consistently have energy.” As you probably guessed, most people are not winning the health game. But you can easily change that by using this simple health improvement system. 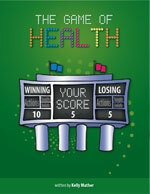 Start with AWARENESS to determine whether you are winning or losing the game of health. 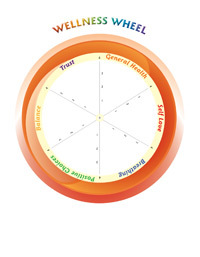 Take the Wheel of Healing Health assessment on the home page to become aware of where you are at each level of health: physical, mental, emotional and spiritual. 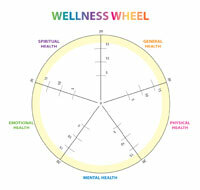 Find out where you are in the 5 keys to wellness and create your free wellness wheel. Take a moment to assess your current home environment to see if it promotes health and healing. Now that you are AWARE of your current state of health, it is time to get EDUCATED using the health education books and tools. Once you are educated, we hope you are INSPIRED to practice using the system each day. You will certainly have positive OUTCOMES and become the healthiest YOU can be.